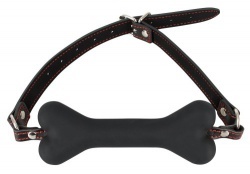 Silicone horse bit gag made from the highest quality leather. 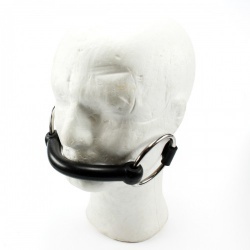 This bit gag has an adjustable strap, features a flexible silicone bit and a lockable buckle. The gag has a biteable surface of about 12.5cm long and a diameter of 1.8cm. The chromed steel rings are approx. 7.7cm wide.